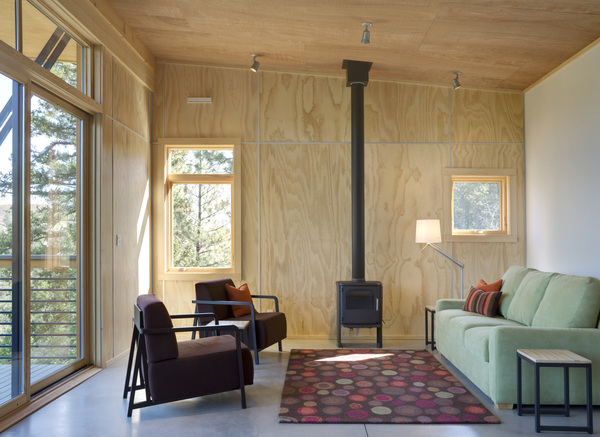 In order to meet the client's budget goals, an efficient plan and cost effective selection of building materials reduced construction costs and led to the simple box design. 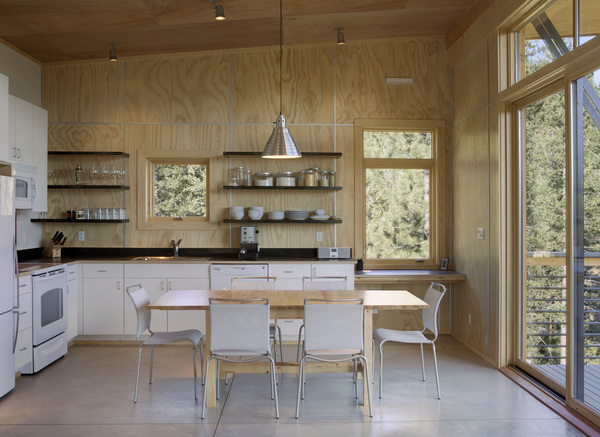 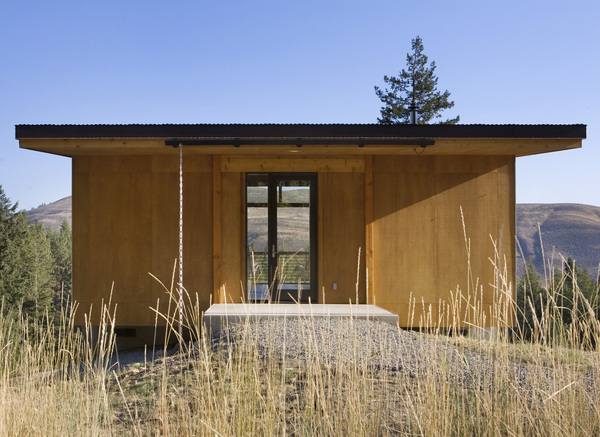 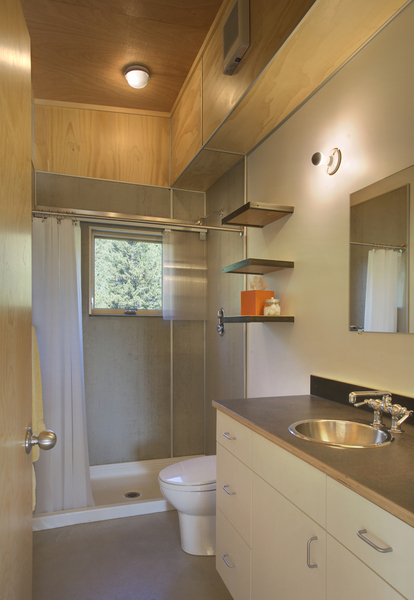 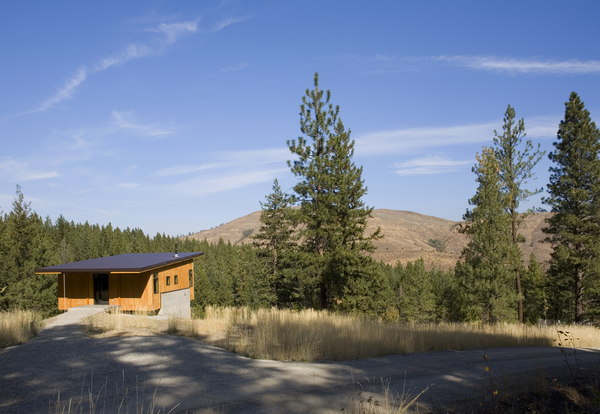 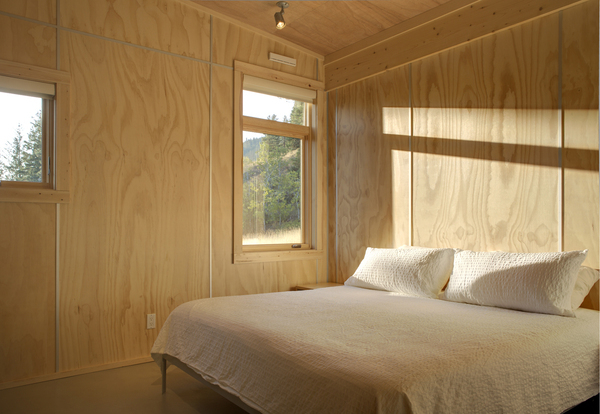 The use of sheet materials both inside and out maximized material efficiency while emphasizing the simplicity of the cabin's form. 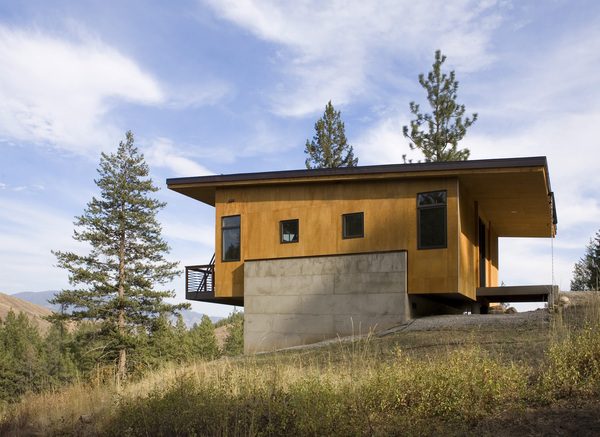 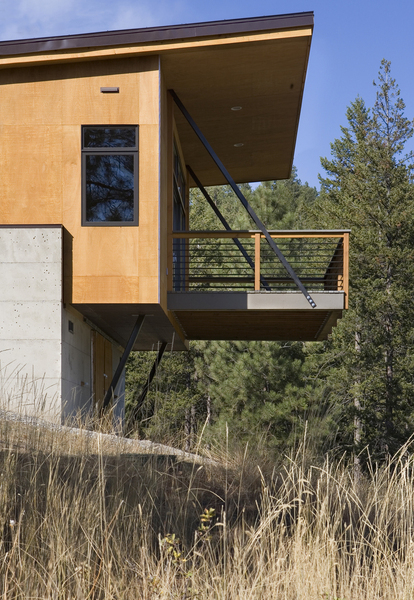 Two concrete walls cradle the box and allow it to cantilever over the hillside, reducing effective site disturbance. 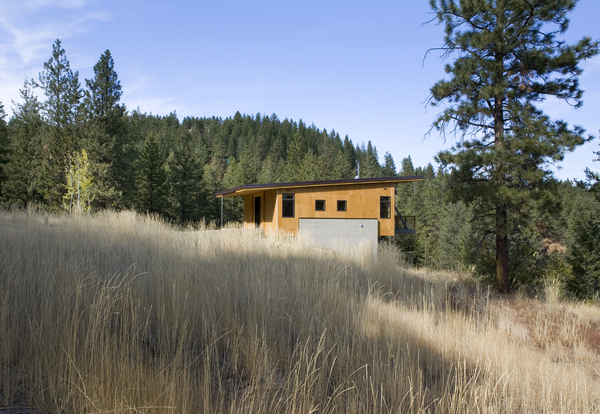 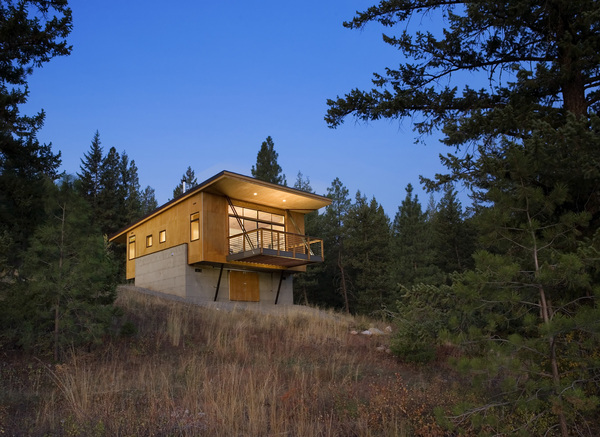 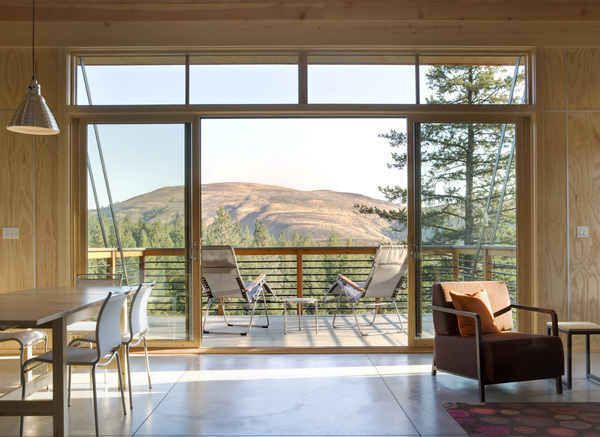 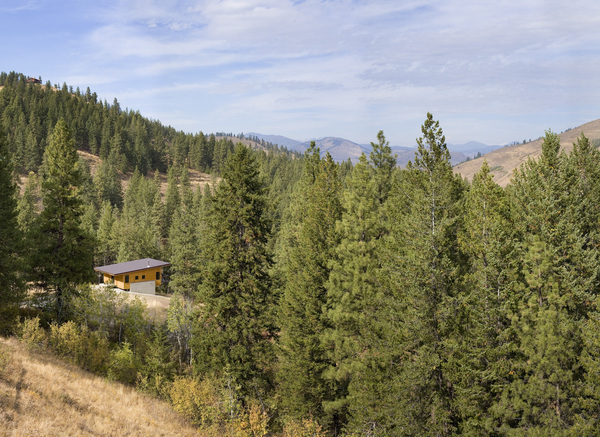 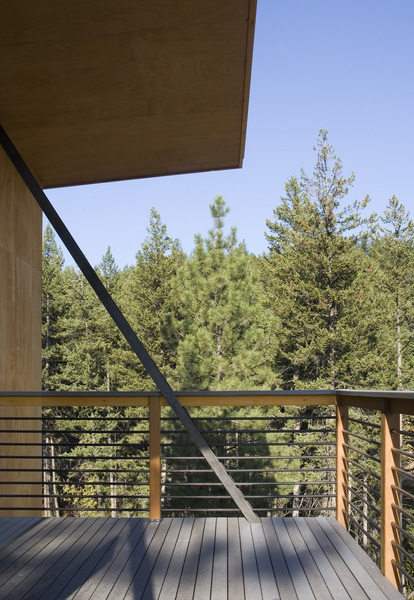 Elevating the cabin allowed for unobstructed views down slope and to the mountains beyond, transforming a modest living space from ordinary room to a viewing platform that extends from inside to out. 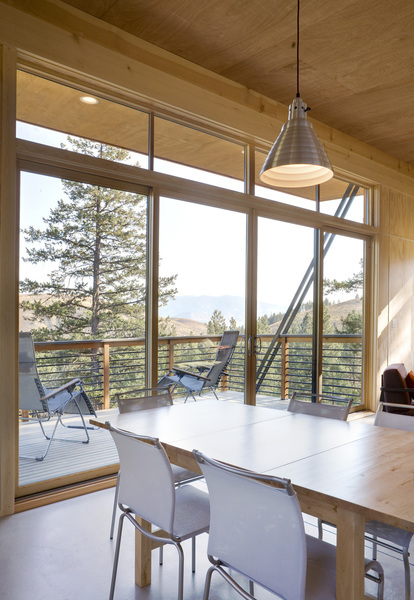 We believe this project demonstrates our belief that architecturally interesting solutions can be achieved for budgets of all sizes without sacrificing quality or aesthetics.